This is shameless trickery. Without my glasses on I could not see the “meat free” wording, I thought it was just part of the decoration of the box. If it’s Quorn it’s not steak, simples. 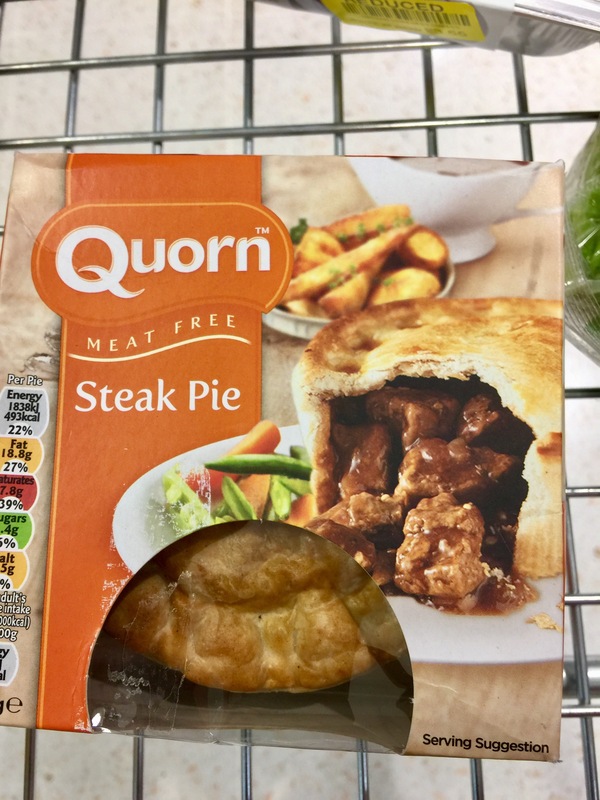 There are many things I could call it but steak isn’t one of them, “meat free steak pie” indeed. I am vegetarian (no meat, fish or poultry), but even I don’t eat this stuff! Just say no.